New Years @ the Firebird!! 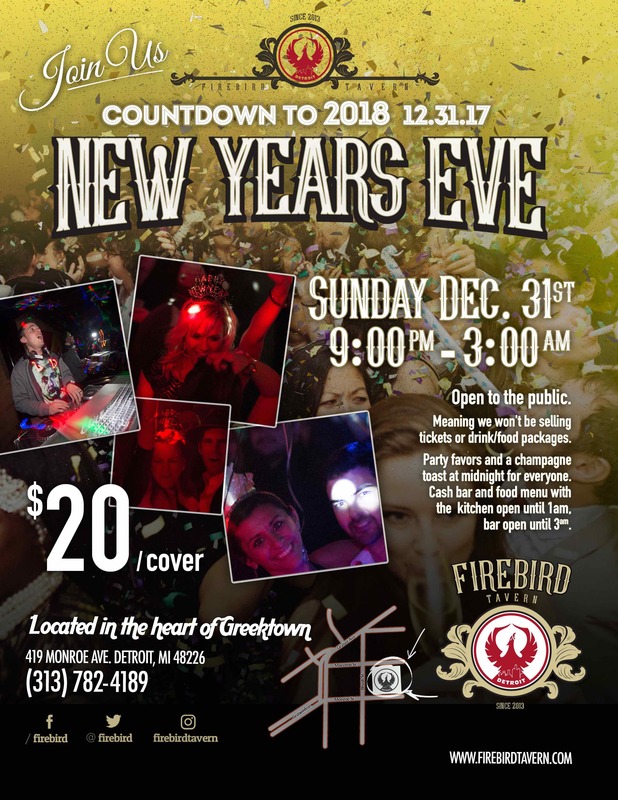 Join us for New Years Eve 2018!! See ya later 2017 and welcome 2018 at your favorite bar! !